Before we start looking at Docker log collection tools, check out these two useful Docker Cheatsheets. It is open source on Github, can be used with the Elastic Stack or Sematext Cloud and can collect not just container logs, but also container events, plus Docker host and container metrics. In other words, it’s a Docker monitoring agent as well as container events and log collector, parser, and shipper. The following comparison table shows the differences between these 3 Docker logging solutions that work well with the json-file driver and Docker Remote API. The comparison table above is based on the following details we evaluated for each tool. Log collection Collects Docker log files, generated by json-file driver. Enrichment with container metadata (name, image, labels) via Docker API. Logs can be forwarded to Elasticsearch, Kafka, Logstash or Redis. Multiline support Multi-line support. A regular expression can be specified globally to match multiline messages. Specific multiline handling is implemented by Filebeat modules (see “Log Parser” below). Filter Filters for docker metadata (container name, image name and container ID) can be defined. Disk buffer Update: Since version 6.3, a queue can be configured. Log parser Update: Filbeat modules are available and could be configured for container or image specific log parsing by the Filebeat “autodiscover” feature. By default only JSON log parser in a static configuration used to read docker json-file logs. The Docker messages content in this json file is not parsed. Direct output to Elasticsearch results in unparsed logs. Logs must be shipped to a separate Logstash instance or to an Elasticsearch ingest node, having a processing pipeline defined for parsing various container log formats. Image Registry Image on Docker Hub: https://hub.docker.com/r/elastic/filebeat/. Elastic hosts the Filebeat image in the elastic registry: docker.elastic.co/beats/filebeat Various 3rd party images are available too. Log collection Collects logs via Docker API including container metadata. Forwarding to Syslog or HTTP destinations. 3rd party output modules are available for Apache Kafka, Logstash, Redis-Logstash, and Gelf. Log routing Log routing supported. Multiple destinations can be specified by label filters to select logs for each destination. Multiline support No multi line support. Filter Filtering to match container labels with wildcards. Disk buffer No support for disk buffers. Logs might be lost when delivery fails. Log parser No log parser. Log routing Log routing by container labels or environment variables to specify Elasticsearch destination index or Sematext Cloud App. Very flexible with global defaults and individual rules. Multiline support Out of the box multi-line support, catching most stack traces or any log messages with indentation. The default regular expression is configurable. In addition, custom message separators e.g., date patterns at begin of log messages can be specified via pattern definitions per log source (matching container image or container name). Filter Filtering with via and blacklists via regular expressions matching container ID, container name or image name. In addition, containers can be labeled to enabled/disable log collection combined with global defaults (collect all logs or collect no logs without having explicit logging “enabled” label on the application container). Disk buffer Disk buffer supported. SDA stores and retransmits logs in case of failed delivery to the Elasticsearch API. Disk buffer limits can be configured. Oldest logs get dropped when disk buffer limits are reached. Log parser Comprehensive log parser with default log format recognition for JSON and parsing rules for various official images like Nginx, Apache, MongoDB, HBase, Cassandra, Elasticsearch, etc. Individual log parser, filter and transformation rules can be specified in a configuration file or via URL (e.g. Github Gist). IP-Address fields can be enriched with Geo-IP data. Sensitive data fields can be masked/anonymized by replacing the value with a hash code. In addition sensitive data fields could be removed from logs, before the data is shipped to the log storage. The clear recommendation for API based loggers might change in the future as Docker log drivers improve over time and the new plugin mechanism via Unix socket allows new logging driver implementations to run as separate processes. The release of the new Docker logging plugin architecture is a good sign that Docker takes logging issues seriously. Logging vendors need some time to implement their drivers based on the new plugin architecture. 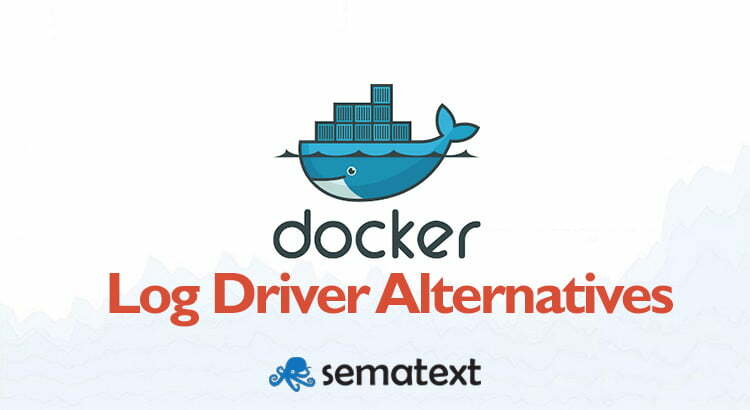 In the meantime, consider Docker API based log collectors like Sematext Docker Agent and Logspout to avoid running into issues with Docker logs, like the 10 Docker logging gotchas. Then, you should think about not only collecting logs, but also host and container metrics, and events. In this sense, we’ve prepared a reference architecture document where you will find out about all key Docker metrics to watch. Following that, you will learn how to set up monitoring and logging for a Docker Enterprise Cluster. I’m currently evaluating a few log collectors for our Kubernetes setup. We’re currently using Logspout in a different environment and I have to point out, that they recently added Multiline support via regex pattern matching. It might not be as full-fledged as Sematext’s multiline feature, but it works quite well. Thank you for sharing wonderful information with us to get some idea about that docker. This post will be helpful for the readers who are searching for this type of information. Keep it up.